Home › Home News › Take the Happiness Pledge on IHD! The UN General Assembly in 2011 adopted a resolution which recognised happiness as a “fundamental human goal” and called for a “more inclusive, equitable and balanced approach to economic growth that promotes the happiness and well-being of all peoples.” The UN’s partner for the International Day of Happiness, Action for Happiness, has since developed a practical handbook for creating happiness for ourselves and for those around us, by highlighting ‘Ten Keys to Happier Living’. 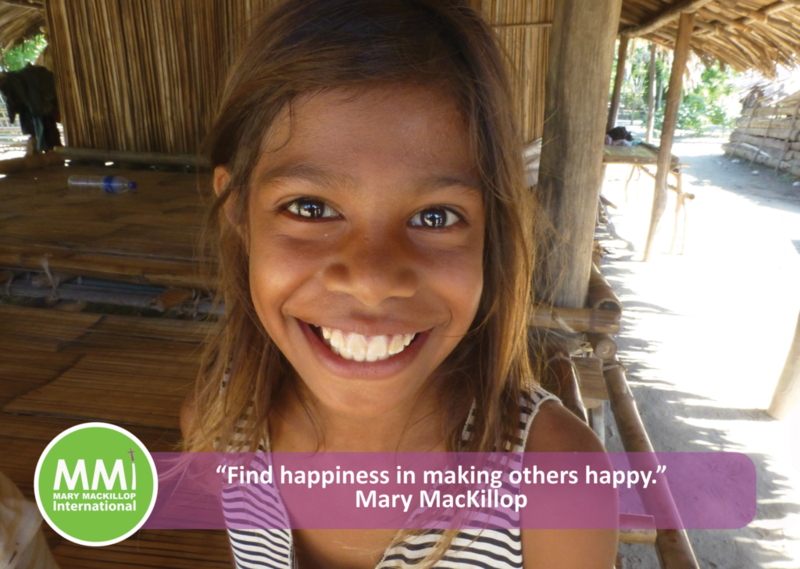 One possible way you can do this, is by joining us and becoming a part of ‘Mary’s Community’. By partnering with MMI, in which ever way you can, you are able to find practical ways to do for others, to connect with others and become a part of something bigger, creating paths to bring happiness not only into the lives of others but also into your own. If you’d like to join ‘Mary’s Community’ and find out more about the many was you can get involved – click here for further information.